On The John J. Fahey Show on Friday night. This past December my good friend, writer and soap opera expert, Gerard J. Waggett, pitched me to John Fahey to appear on The John J. Fahey Show. Where did the pitch happen? At a bus stop where they ran into each other (they originally first met at their local library). It reminded me of the time I mentioned Gerry to a literary agent I met during my first TV appearance on The Montel Williams Show back in 1994. That introduction resulted in a multi-book deal for Gerry. How did I get on The Montel Williams Show? My business partner at International Figure Skating, editor/writer Lois Elfman, heard about the upcoming “Tonya & Nancy” episode and pitched me to one of the producers. I’ll never forget the day I was set to travel to New York for the taping. They were going to fly me from Worcester to the city but inclement weather prevented it. So what did I do? I got in my car and drove in the bad weather to New York. A TV camera was waiting! This is an industry that is built on long-term relationships. People that you work with on your first projects that you continue to work with because you can count on them and know their work. Case in point Adam Starr. I first met Adam when I was publishing magazines. One of the first videos I produced was a promotional video for my company (I need to get that VHS tape digitized). 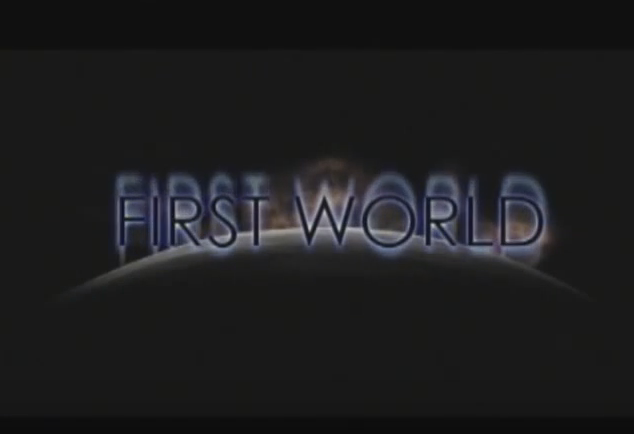 With Adam as director, along with Lois as one of the producers, we went on to make First World. For Justice Is Mind the actor that played the President in First World returned as George Katz in Justice Is Mind. As for Adam Starr? He produced over 170 special effects for the film. No sooner did I arrive at BNN (Boston Neighborhood Network) for the live broadcast of The John J. Fahey Show, when I saw Tomek Doroz at one of the control stations. Tomek was Justice Is Mind’s digital imaging technician as well as a production assistant. He was also instrumental in securing a couple of our locations (we had our church and junkyard!). Needless to say when I gave him a clip of Justice to play during the show I was giving it back to the person who was not only the first person to see footage being created for the film, but also to make sure it was OK from a technical point of view. The network continues. With Gail Sullivan and Mary Wexler for PAC TV. I have always found cable access stations a great way to reach a targeted audience. One of the first cable access stations I was on was Crown City News in California back in 2007 where I talked about First World. I met host Anthony Smiljkovich through Jillian Barberie at the local FOX station. And where did I meet Jillian? When we both starred on FOX’s Skating with Celebrities. Although Jillian couldn’t make the Los Angeles premiere of Justice Is Mind, Anthony and his boyfriend were there along with First World star Angelina Spicer. 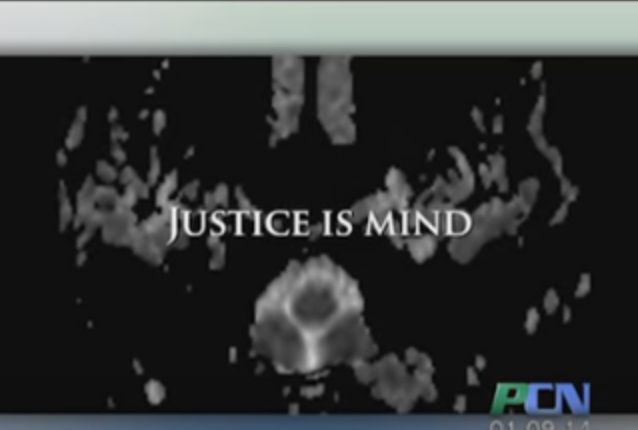 Of course, one of my favorite cable access appearances was on Plymouth’s PAC-TV for Justice Is Mind. Arranged by Gail Sullivan who plays Helen Granger in the film, they did a wonderful job promoting our screening at Plimoth Cinema and presenting the concept of the film. Gail, Mary Wexler (who plays Judge Wagner) and I had a great time that day reliving the early days of the film. With Anthony and Bryan at the LA premiere of Justice Is Mind. With Angelina at the LA premiere of Justice Is Mind. Friday night’s broadcast of The John J. Fahey Show could not have gone better. In addition to showing an extended clip of Justice Is Mind, I talked publicly for the first time on TV about my political thriller SOS United States. What I particularly liked about the show was the live format. I’ve always enjoyed doing live TV over taped because you are truly in the moment with no worry about being edited. Of course you have to watch what you say! One of the highlights was when a caller phoned and praised Justice. Indeed, it’s about introducing your projects to new audiences. SOS United States first mentioned on TV this past week on The John J. Fahey Show.